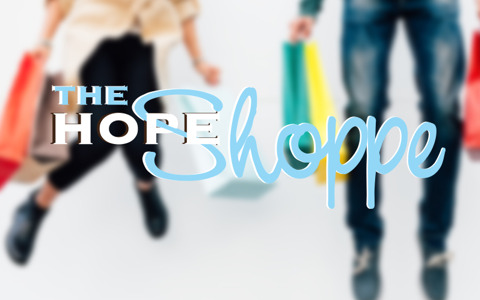 The Hope Shoppe offers a unique shopping experience with a wide selection of items including gifts for everyone in a variety of prices. One of our best sellers is our extensive jewelry line consisting of necklaces, bracelets, earrings and rings. Most of our jewelry is handmade by local sellers. We have many pieces of artistry that are one of a kind created by our local artists. Also, in stock are Bibles of multiple translations and devotional books for all ages. The Hope Shoppe is always up to date with seasonal gifts—and don't forget—the convenience of our prepared foods. Our freezer is always stocked with 3-6 entrees/casseroles, "Hope" rolls, 8-10 soups, 10-14 dips and 4-6 different flavored scones. Proceeds from the Hope Shoppe benefit numerous ministries both globally and in the city of Memphis. For more information about The Hope Shoppe, contact Jennifer Young or Jana Carmody. The Hope Shoppe is open every Tuesday from 10:00 am–3:00 pm! We are also open every weekend before and after each worship service: Saturday 4:30–7:00 pm and Sunday 8:00 am–1:00 pm. We're also open during Wednesdays at Hope (by semester only) from 5:00–6:15 pm. In addition, we are open during special events that happen throughout the year. Stop by and see us—we would love to meet you!